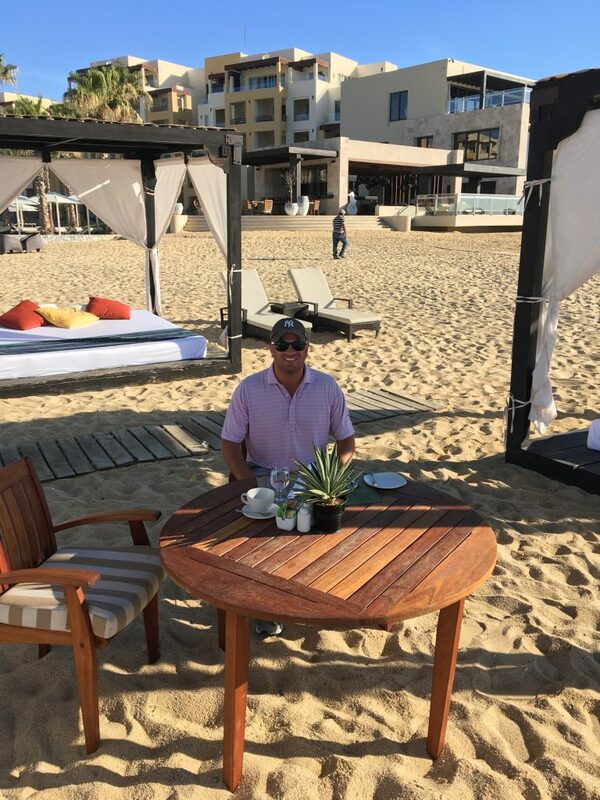 I’ve been all over Mexico and seen a lot of places but Cabo San Lucas is my favorite part of Mexico. 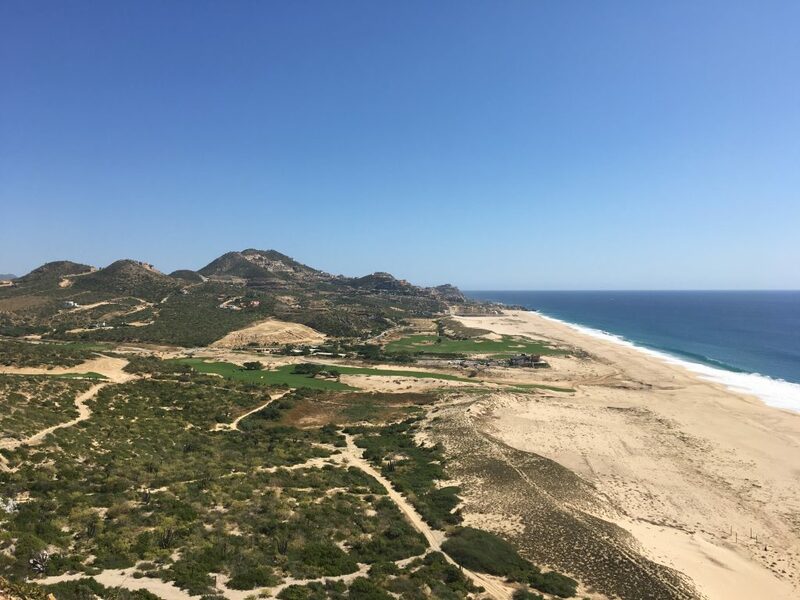 The Baja Peninsula is beautiful once you get south of Tijuana and Cabo is basically Scottsdale meet Malibu. 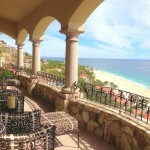 I have been to Cabo many times and have some good friends that actually own enormous houses in Cabo. I’ve also stayed in several resorts in the area. 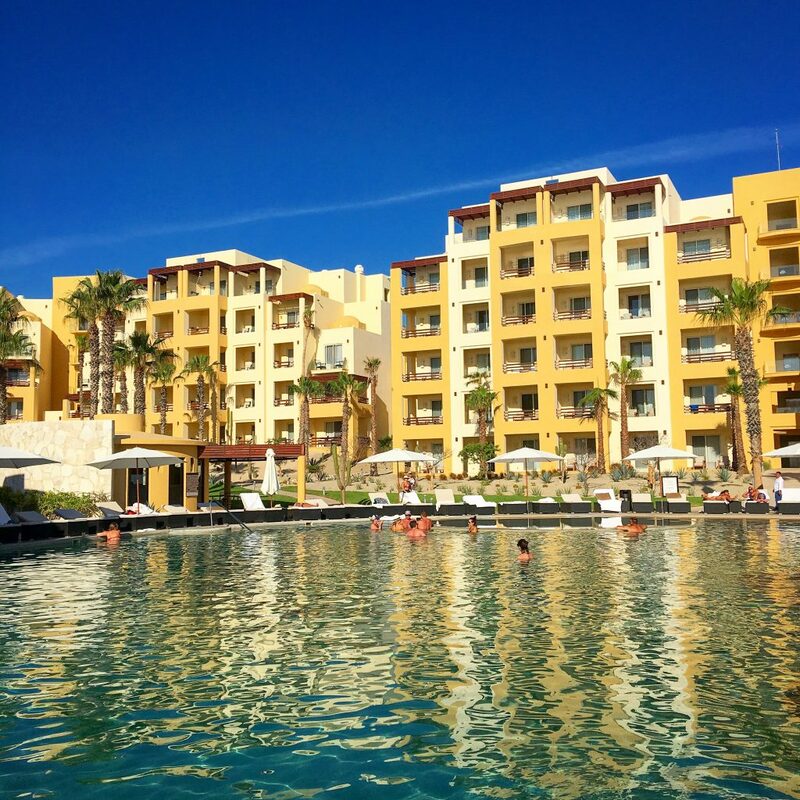 This trip I stayed at the Pacifica in the Pueblo Bonito Golf and Spa Resorts. 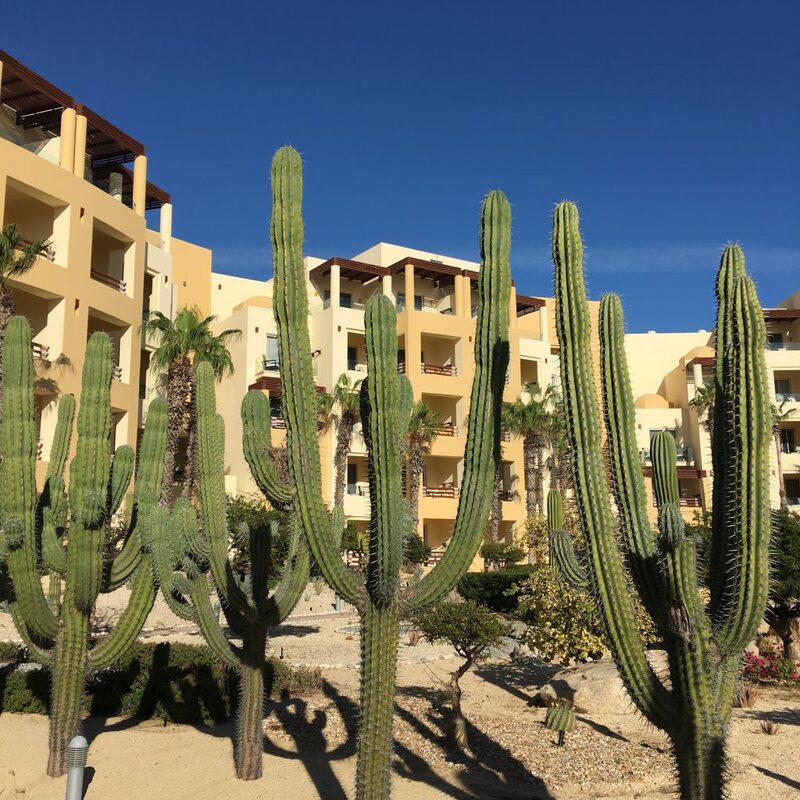 The Pueblo Bonito Golf and Spa Resorts is a massive complex along a few miles of beach and goes all the way up a mountain. The Pacifica, where I stayed, is an adult’s only resort that is simply beautiful. It’s not a party place although you can eat and drink to your hearts content. It’s more of a couple’s kind of place but super relaxed. It is all-inclusive optional and I really thought it was excellent. I stayed in the new Tower Suites at the Pacifica. I had a great suite with a large living room area, a table, large bathroom, great shower and comfortable bed. 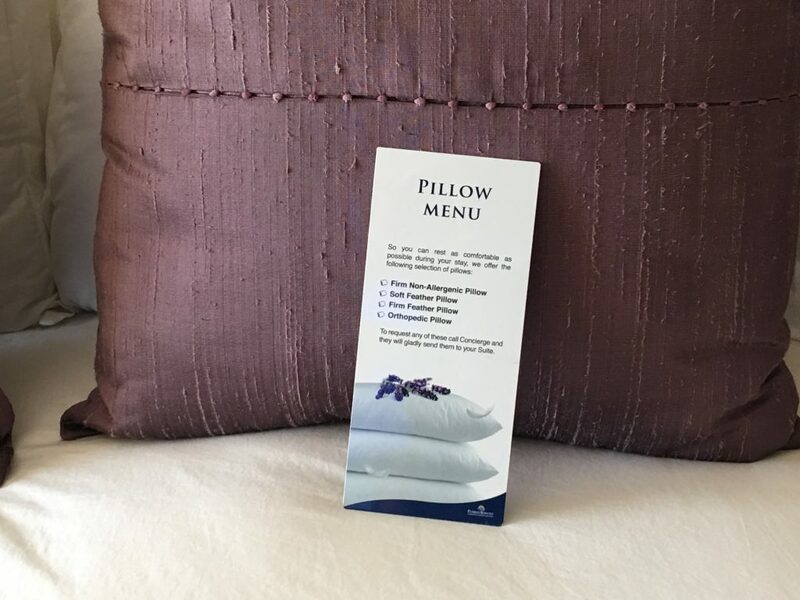 The best thing about the bed was they offered a pillow bar so you could choose your pillow based on softness preference. I personally like my pillows extra soft so I slept like a baby! The suite also had a private plunge pool just outside and steps away from the large resort pool but still private. The food at the hotel was pretty good. I ate at the Peninsula Restaurant; which is located next to the Tower Suites and just below the VIP Lounge that Tower Suite guests get to use. I watched a few games there on the 90-inch screen and the sunsets are amazing! The food at the Peninsula Restaurant was good; I tried a few different things. 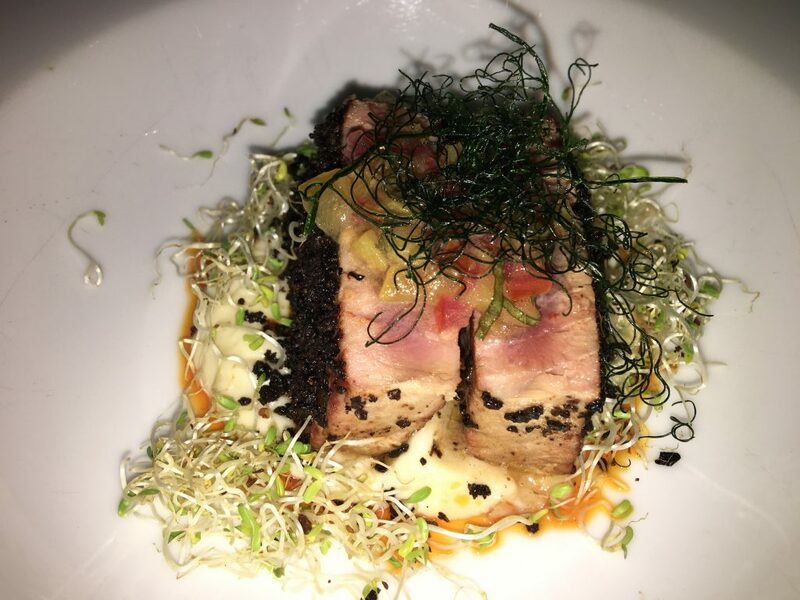 I recommend the tuna and the desserts may have been my favorite part of the meal! I also ate at the steakhouse at the Quivira Golf Club. This is a more formal dining scene and has a dress code. The steaks are good New York restaurant quality and excellent sized portions. I was quite pleased. There are several other options of places to eat at Pacifica and up at their sister property Sunset Beach. All the restaurants are included with the all-inclusive package. I had breakfast each morning at the main restaurant over the pool and had it at the beach cabanas one morning as well. That’s a nice touch even if it’s breakfast for one! There are two pools at Pacifica. 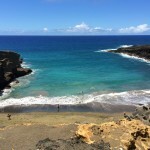 Of course you can use the pools at the other resorts including the Sky Pool at Sunset Beach, which as the name implies, offers great sunset views. The main pool at Pacifica has a swim up bar and is basically the social center of the hotel. I met some cool people in the pool-as you do when you travel alone. I even met a guy to play golf with! 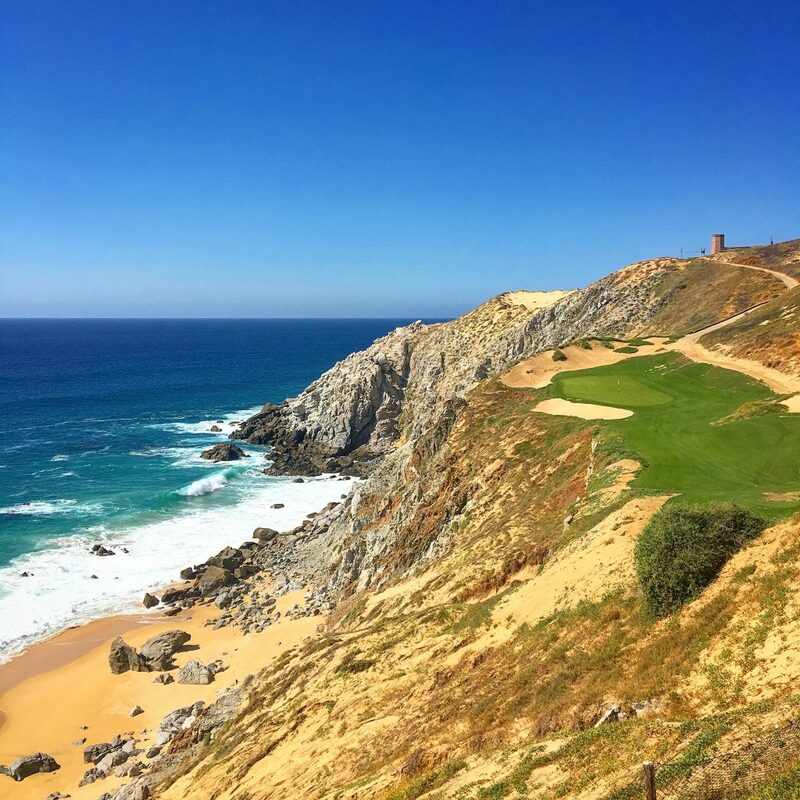 For me, the main attraction to Pueblo Bonito is the Quivira Golf Club and its world-class golf course. I can honestly say that there are 3-4 holes you could argue are the best holes you’ve ever played. The scenery is to die for. If you followed along on my Instagram Stories then you saw it up close and personal. What a pleasure it was to play 3 days in a row. 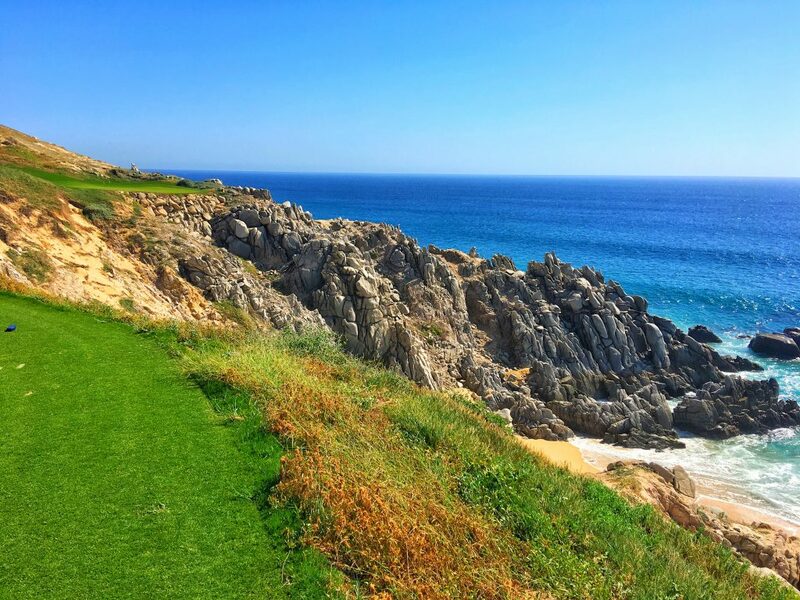 The course itself was ravaged by the horrible storm that hit Cabo last year. Several holes were ruined and had to be redone. As of this moment, the only hole still affected is the 5th and I was told it’s scheduled to reopen as a Par 4 shortly. They converted it into a temporary Par 3 during the restoration. As a Par 3 it was amazing with incredible views! The 6th hole is perhaps the best hole I’ve ever seen. The 13th is amazing too but I prefer the 6th because of the daunting scenery and impending doom on your shot. It’s about as intimidating as a golf shot gets. I went Bogey Par Par on my 3 days and never once actually hit the green but I scrambled to decent scores! Once you get up the mountain you’ll see the comfort station to end comfort stations in terms of views. If you’re not familiar with comfort stations on golf courses, they are little shacks that make food and offer drinks and a bathroom. The drinks and food are free with your membership or greens fees. As far as I know it’s just a Cabo thing but I love them! 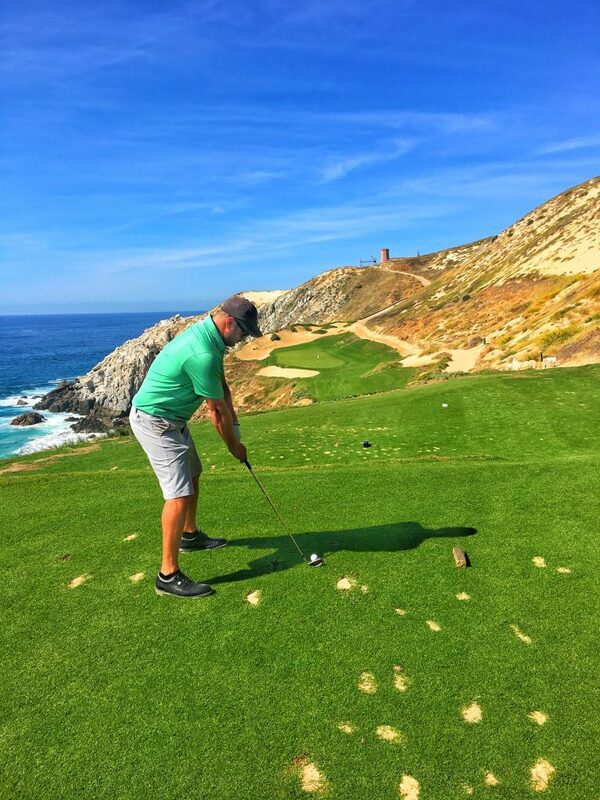 The Quivira Golf Course is a real test of your skills and your score will vary on whether you keep the ball in the fairway or not. Like any desert course, the rough is not really rough; it’s sand and dirt. My scores varied with my driving. I went 92, 79 and 84. I should also add the greens are in impeccable shape and you’ll get a real true roll. 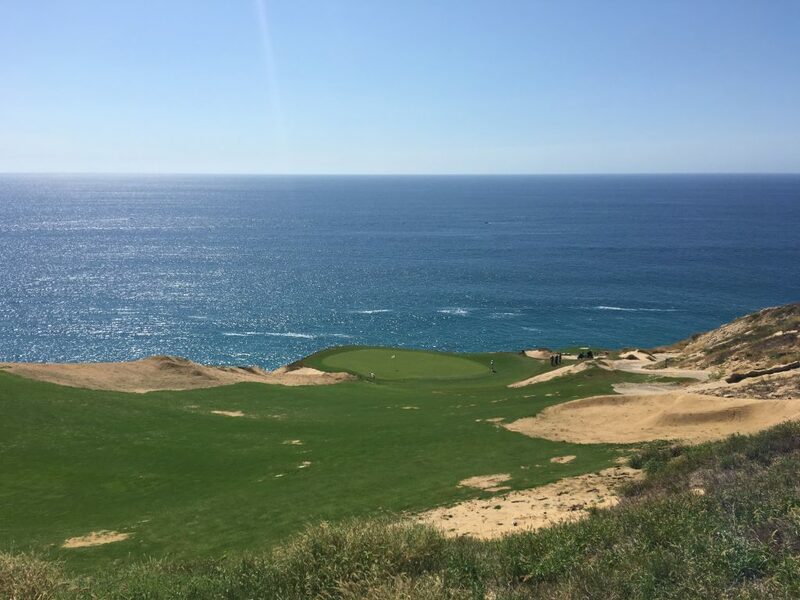 I don’t rave about anything unless it’s good and the Quivira Golf Club is right up there at the top of my list of the best golf courses I’ve played. Just bring sunscreen and sunglasses because it’s hot and bright out there! Back at Pacifica, I also recommend the Armonia Spa. I got a 50-minute massage and it pretty much rocked my world and took all the kinks out from golf! The spa is pretty standard stuff but the thing I like most was after the massage they had a private hot tub, steam room and cold tub-in that order. You feel so refreshed after that as your body is super confused! I loved it! 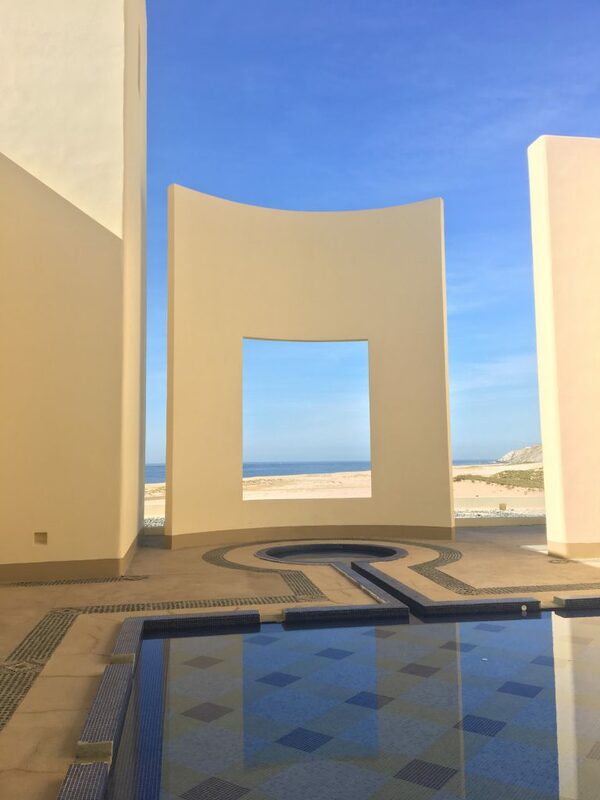 Pueblo Bonito Golf and Spa Resorts is only about a 10-minute drive from downtown Cabo where all the madness happens. I’m not a big fan of the loud Mexican club and bar scene like I may have been at Cancun for Spring Break in college. But there are some great restaurants in town and also a ton of small taco stands that are off the charts. 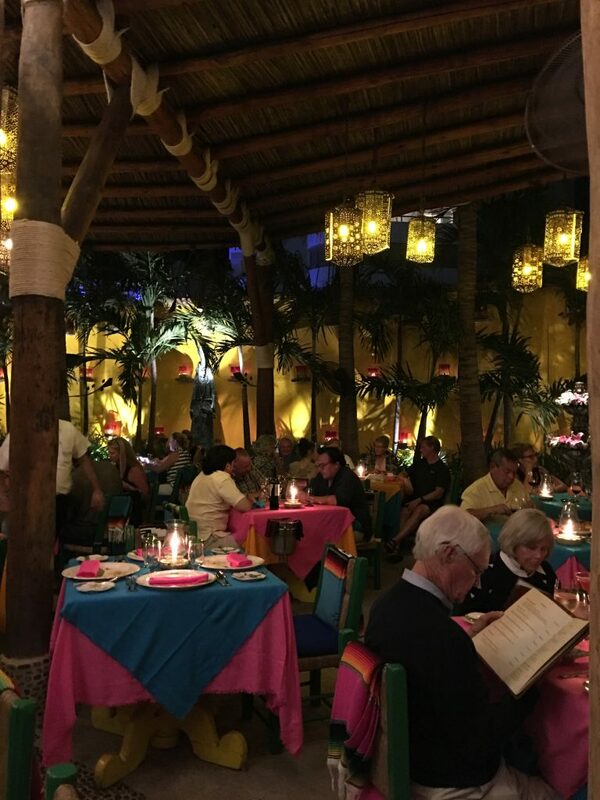 My favorite restaurant in Cabo is Edith’s. Try the Caesar salad, tortilla soup and the shrimp however you like them-so good! 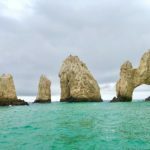 Cabo San Lucas is a fast developing place and isn’t as cheap as it once was. However, when you get down there you’ll see what all the fuss is about. 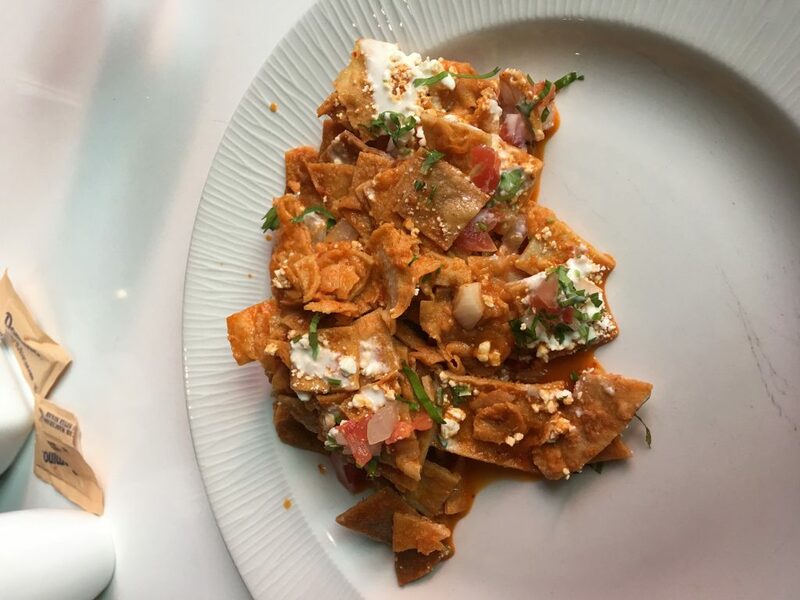 The weather is perfect, the food is delicious and the views are as good as it gets. 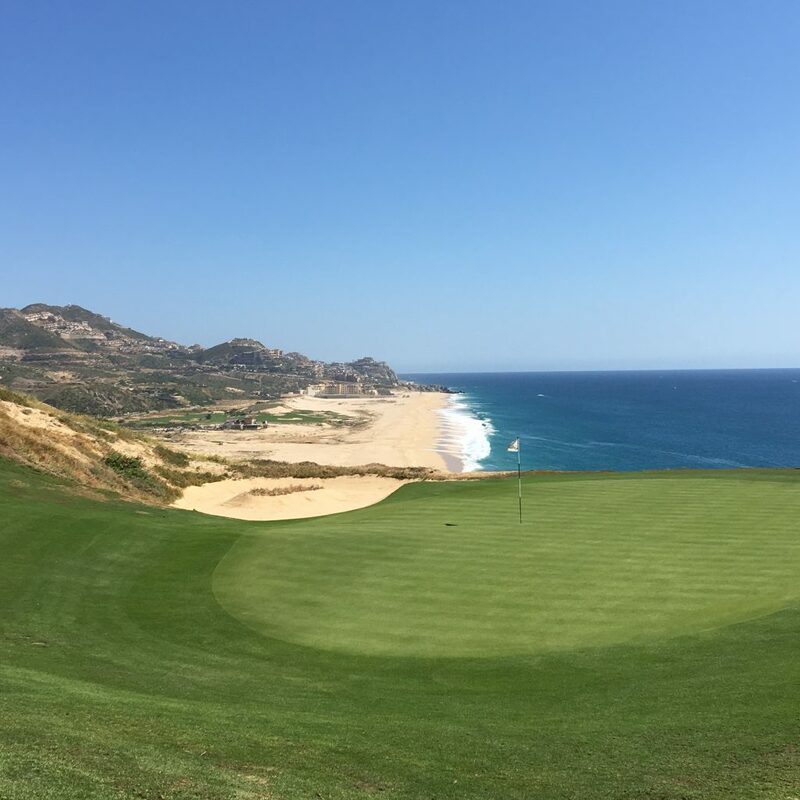 Cabo is fantastic! 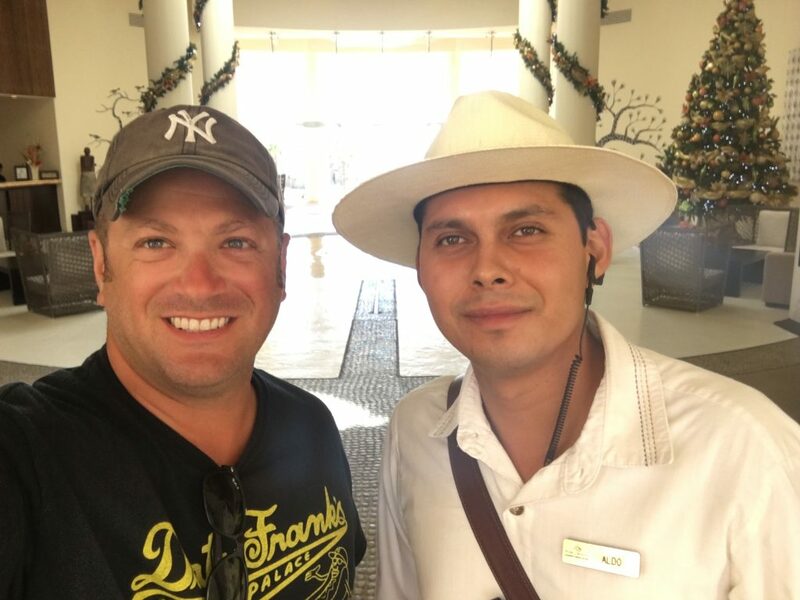 Disclaimer: I was invited and fully hosted by Pueblo Bonito Golf and Spa Resorts. Everything written here is by me, based on my own experience and has not been influenced in any way. 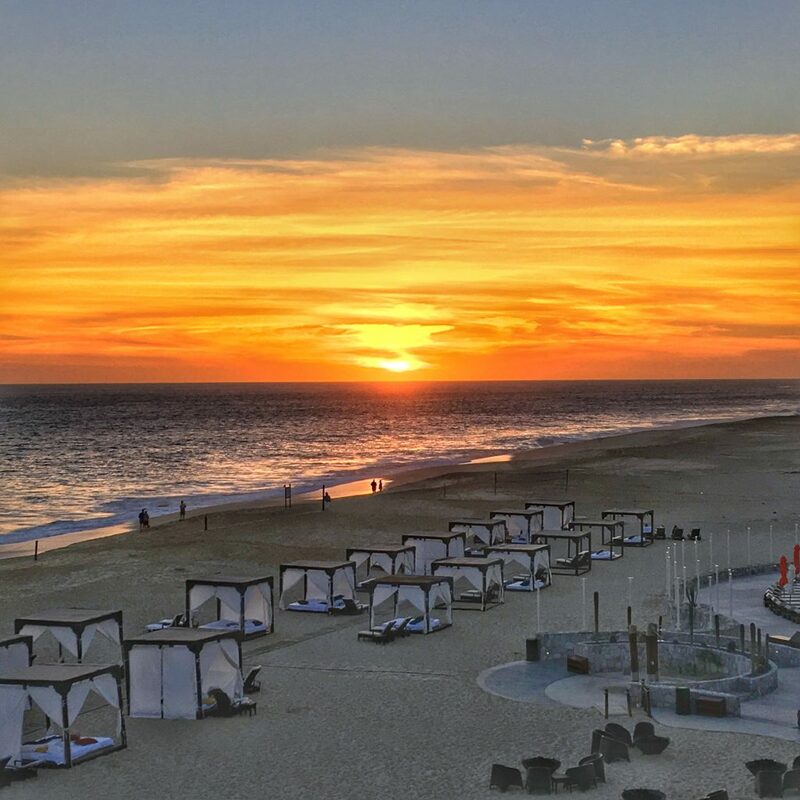 Cabo is my favorite area of Mexico. 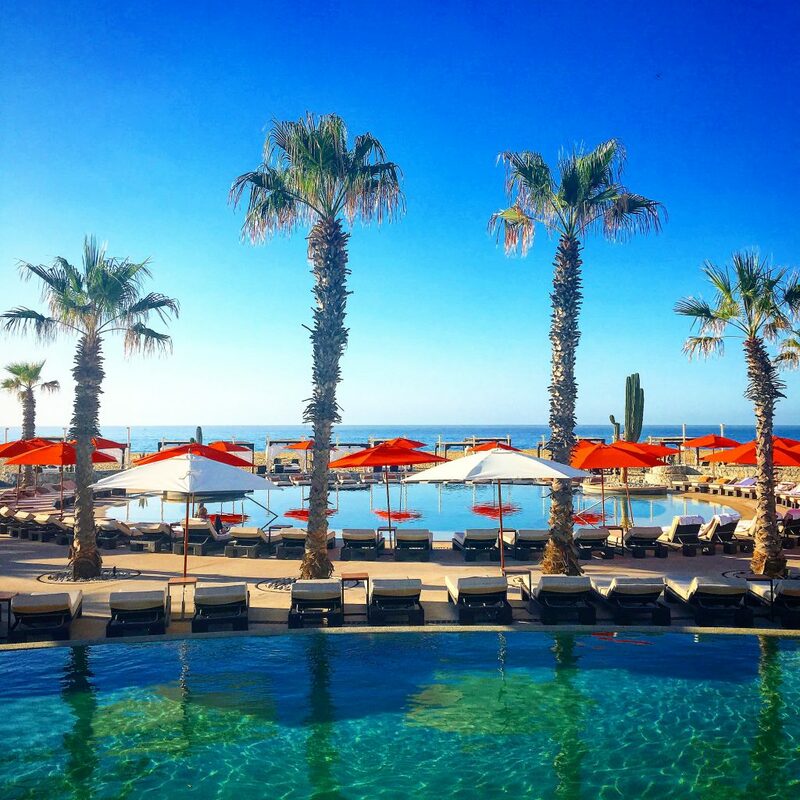 I haven’t been to this resort but love everything about Los Cabos! The ocean makes everything better!